Moving house can be a stressful time for anyone involved, and packing up your entire life possessions is a long and hectic process. If you have given yourself a good amount of time to pack everything together, it shouldn’t be such a bad job. We’ve put together our top tips for packing and moving that are sure to help you get on the go. Put aside some extra time to organise your belongings before you even begin to pack. This will allow you to have a really good clear out, getting rid of any bits and pieces you’ve decided you no longer want or need. Removing anything you don’t want to take to your new home means there will be a lot less to take with you on moving day, and therefore making unpacking much easier! You could even sell on any items you don’t wish to keep, meaning you could make some money in the process. When the day finally comes, you don’t want to be caught out with no tea and coffee making facilities! We advise creating a box of essentials, clearly labelled ‘DO NOT PACK’. This can include everything you might need on the day, such as a kettle, some cups, tea and coffee, toilet roll and headache pills. If you’re in need of certain things on the day and can’t remember where you’ve packed them, an already stressful moving day can turn into an even bigger nightmare, so help yourself out in advance! Over-packing is easily done, as we try and get our packing over and done with and squeeze as much stuff as possible into one little box. It’s important this isn’t what you do, as over-packing can make it difficult to pick up and move the boxes to your new home. Instead, try putting a sensible amount of items into separate boxes. You could even label them by room to make it easier when unpacking. 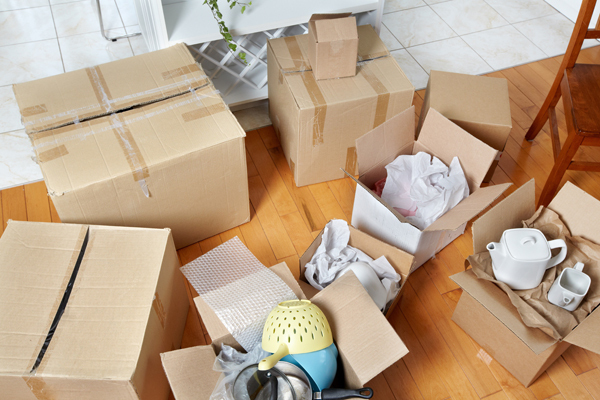 However, boxes that are too empty can become crushed in the moving process, so see what works best! Taking the time to label everything you’re taking with you, whether this be boxes, bin liners or crates- make sure they are all labelled. It’s a good idea to label the top and sides of any boxes, to ensure when they are uploaded it’s obvious where they need to be taken. Boxes can be stacked in any position within a moving van or in the boot of your car, so to save time and confusion, and to ensure everyone is on the same page, overly labelled possessions is the best road to go down. Ensuring you take breaks regularly is an important part of both packing and moving. When moving day comes around, don’t put yourself under unnecessary pressure to get everything ready within a small time slot, and once you’ve reached your destination don’t feel the need to unpack everything on your first day there. As long as you have your essentials box at hand, and you’ve been able to make up the beds, everything else will follow in due course as each new day comes. At Beehive Self Storage, we stock a variety of packing materials including boxes, bubble wrap and packing tape to help ensure your move is as smooth as possible! If you’d like to find our more information about our packing materials, get in touch with a member of the Beehive team today by giving us a call on 08456 436 100 or by making an enquiry via our website! What Self-Storage is Best for You? If you have a cluttered home or office and need space you just don’t have, self-storage could be the answer for you. There are multiple options available for self-storage, whether you’re looking for business storage or domestic and here at Beehive, we can help you decide what is best for you. Every house has some mess and disorder, but if your home is getting out of control, you may need the help from a self-storage. You can choose whether you want to store a few personal possessions to the contents of your whole house, decluttering your home as you go. Perhaps you are having building work or decorating done to your home and are unsure where to keep your belongings? Domestic self-storage could be your answer. With domestic self-storage from Beehive, there are multiple sizes from 25 square foot right up to 175 square foot, so you are able to choose exactly how much space you want or need. We also offer loading bays, large corridors and handling equipment completely free of charge, giving you a stress free experience going to and from your storage space. The best thing about having your own domestic self-storage unit is that you have free of charge access as frequently as suits you. No appointment is necessary, and only you hold the key. If you’re a business owner and find that you have a lot of stock creating a mess in your premises, or you have important paperwork that seems to be filling up your office more than it should be, perhaps a business self-storage unit is the secure and flexible answer for you. 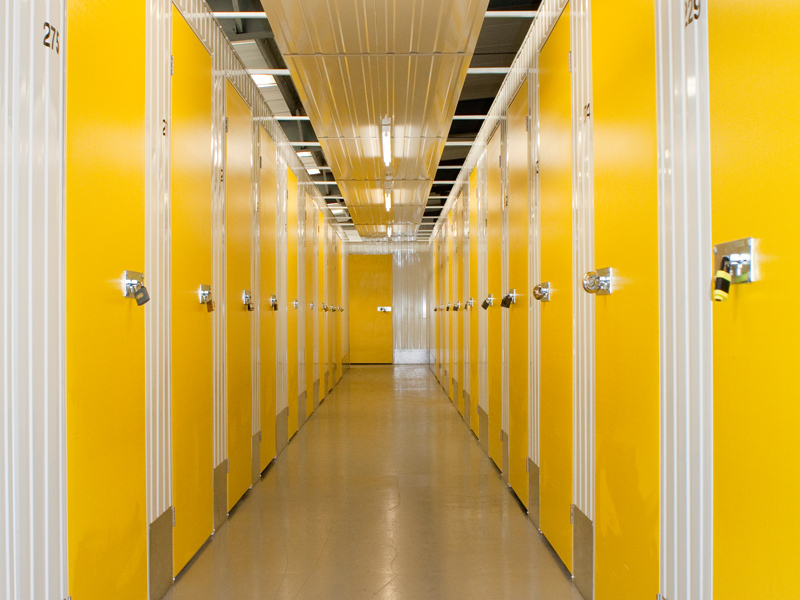 At Beehive, self-storage is not just for large businesses or cluttered homes. If you’re a start-up business and simply don’t have the spare space, you can find storage units suited to you, starting at only 12 square foot. If you’re a larger industrial business with more items to store, our space range up to 5000 square foot. If you find your business’ stock intake increases and decreases over time, you are able to increase or reduce your storage unit’s space at any point- free of charge. Like domestic self-storage, you are able to access your units free of charge and has frequently as you deem necessary, perfect for any busy business owner. If you’re still unsure of what self-storage unit to go for, or if you have any further questions, please get in touch with a member of the Beehive Self Storage team here– we’d love to help! Work Hard, Play Hard, Store Easy. Self storage is often just thought of as a place where individuals store their household items when they are moving house or just need a general sort out and declutter. However, there is an increasing interest for a different type of customer: businesses. Whether it’s for businesses who just want to store their many archiving boxes or businesses looking for a depot, here at Beehive Self Storage, we may just have the perfect solution for your own organisation. A 25 sq ft unit can fit around one hundred standard archive boxes. These units cost around £14.00 per week making it the ideal solution for businesses that just do not have the space to store one hundred boxes, and could be using the space in other worthwhile ways. Other businesses may be looking to use a storage unit as a solution for a depot. Here at Beehive Self Storage, we are proud to offer free, unlimited access to our facilities with no appointments, meaning that goods can be delivered and collected from your unit as many times you need. This means that businesses can store their tools or goods in their unit, and collect them when they are required, whilst keeping them safe and secure. A storage unit can also be set up as a warehouse for your stock. We are also able to provide the racking needed to set up your unit, so that your business can get back on its feet as soon as possible. Your deliveries can not only be sent to us, but we are happy for you to organise for any of your customers’ orders to be picked up from your unit or our secure reception by a courier. Whatever you are planning to use your storage unit for, here at Beehive, we understand that operating a business can be stressful and complex at the best of times, therefore we are here to find a solution that is straightforward and simple for your unique needs. We are completely flexible in allowing organisations to change their unit size, depending on the changing demands of your business on a long or short term basis, we can accept or dispatch any of your deliveries, and finally our facilities are purpose built, clean and dry, with 24/7 security and CCTV so you can ensure that your goods are safe and secure when you are away from work. So why not speak with a member of our Beehive team to discuss your unique business storage requirements today? Call us on 08456 436 100 or email us at enquiries@beehiveselfstorage.co.uk.